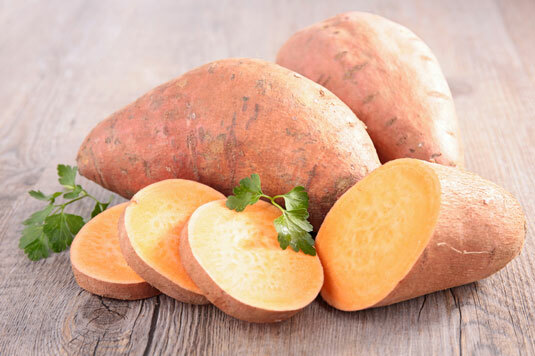 The Center for Science in the Public Interest has ranked sweet potatoes as number one in nutrition, which is no surprise considering that these spuds are loaded with fiber, protein, complex carbohydrates, vitamins, potassium, magnesium, zinc, carotenoids, iron, and calcium. As a matter of fact, sweet potatoes have more than twice the recommended dietary allowance (RDA) of vitamin A, more than 40 percent of the RDA of vitamin C, and four times the RDA for beta carotene. And each sweet potato contains only about 130 calories! When you’re buying salmon, be sure to choose wild salmon rather than farmed salmon because the farmed fish can be high in mercury and toxic chemicals called PCBs, including lead and other heavy metals. Wild salmon contains high amounts of omega-3 fatty acids, magnesium, protein, and vitamin D. It’s also a great source of niacin, selenium, and vitamins B12 and B6. 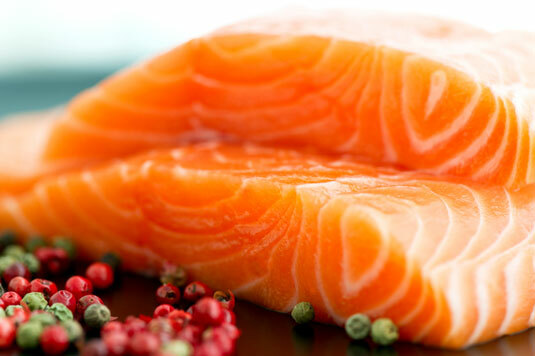 Eating salmon also helps prevent heart disease and diseases caused by inflammation. Scientists have recently found that omega-3 fatty acids can help slow the degenerative effects of Alzheimer’s disease and dementia. These fatty acids can also help lower the risk of depression and aggressive behavior. With all these benefits, it’s no wonder that many nutritionists urge people to eat foods like wild salmon twice a week. Putting salmon on the menu twice a week can lower the level of triglycerides in your blood and can improve heart function. You can use olive oil when sautéing foods, as the fat in almost any baking or cooking recipe, in salad dressings, and when frying foods. Most of the fatty acids in olive oil are omega-9 fatty acids, which are healthy monounsaturated fats that can help lower total blood cholesterol levels. 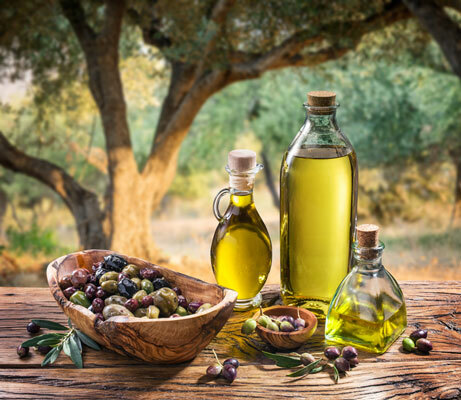 Extra-virgin olive oil is made from the first pressing of olives, without heat, so it’s high in vitamin E and phenols, both of which are powerful antioxidants. And it has a wonderful flavor. Use it mostly in salad dressings and when briefly sautéing foods. When cooking with olive oil, remember that unrefined extra-virgin olive oil has a smoke point (the point at which the oil begins to break down and emit smoke) of about 375 degrees, which is slightly above the ideal temperature for sautéing or frying food but lower than the smoke points of other oils. So use ordinary (not extra-virgin) olive oil, which has a higher smoke point of up to 430 degrees, for frying and long-sautéed recipes. Save the extra-virgin olive oil for salad dressings and baking! 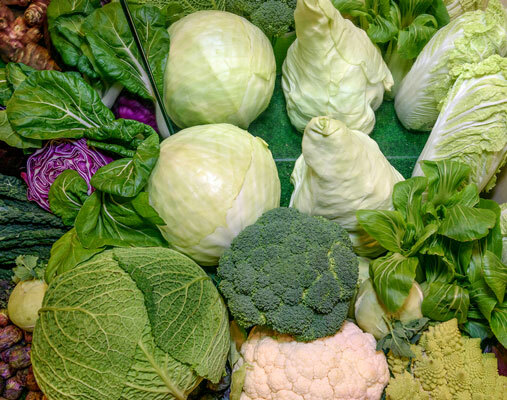 Cruciferous vegetables include broccoli, cauliflower, Brussels sprouts, kohlrabi, cabbage, kale, and bok choy. What makes them so great? Many studies have found a link between eating these veggies and protecting the body from cancer. Specifically, phytochemicals in these foods, including sulforaphane, indole-3-carbinol, and crambene, help the enzymes in your body that destroy carcinogens before they can damage your cells. 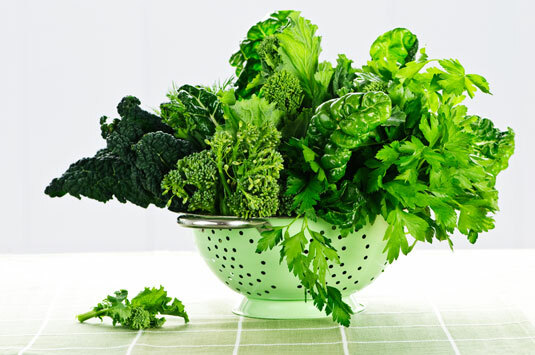 As an added bonus, these veggies are high in antioxidants, which help prevent oxidation and damage from free radicals. Because nuts have so many health benefits and are so satisfying to eat, they’re a great choice for a healthy snack on the eating clean plan. 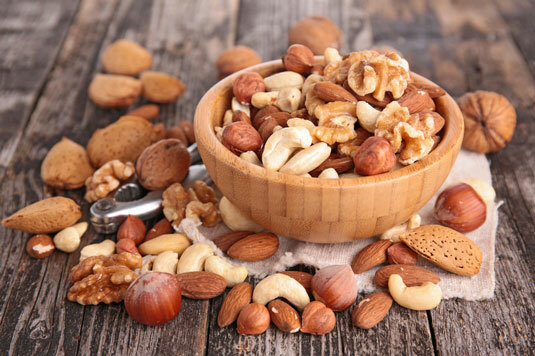 The healthiest nuts include walnuts, almonds, macadamia nuts, hazelnuts, and pecans. This may surprise you: Peanuts aren’t technically nuts! They’re legumes, just like peas and beans. Avocados are a rich and buttery treat, and — as surprising as it may be — they’re very good for you! These fruits are high in vitamins E, C, and K, potassium, oleic acid, folate, antioxidants, and phytochemicals (which stop free radical damage). 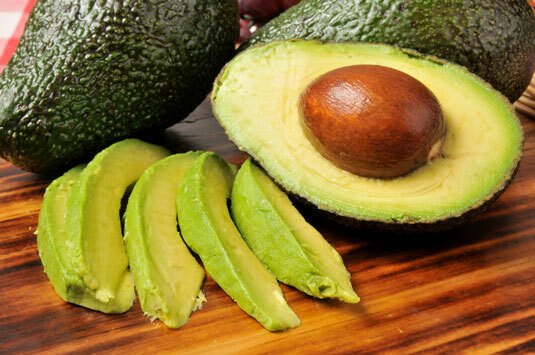 The fat in avocados is monounsaturated, which means it lowers blood cholesterol levels. Plus, avocados contain beta-sitosterol, which is a phytochemical that also reduces cholesterol. To get the most nutrients for the fewest calories, always put foods like kale, collard greens, romaine lettuce, spinach, Swiss chard, and escarole in your shopping cart. These greens are rich in vitamins and minerals, especially vitamins C, K, E, the B complex, potassium, and magnesium, as well as phytonutrients, including lutein, quercetin, zeaxanthin, and beta carotene. A diet rich in dark leafy greens can help reduce the risk of atherosclerosis and heart disease, prevent diabetes and osteoporosis, and reduce the risk of developing cancer. Curry powder is a blend of several different spices, all of which are high in antioxidants and phytochemicals. 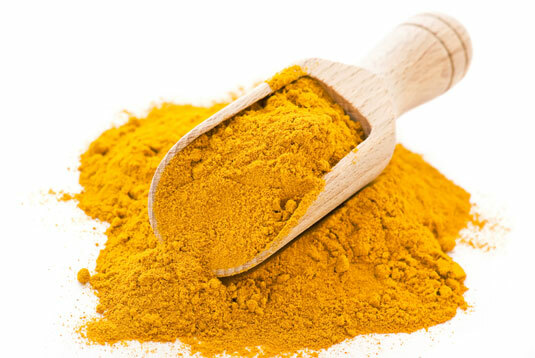 But the most important spice in curry powder is turmeric, which provides a yellow color and subtle rich flavor. Turmeric contains curcumin, which is a powerful phytochemical. People who consume a lot of turmeric-containing curry powder have lower cancer rates, lower rates of Alzheimer’s disease, less inflammation, and improved memory. Curcumin has also been shown to slow the progress of prostate cancer. Berries are a wonderful sweet treat, and they make a delicious dessert all by themselves. Plus, they’re very good for you. Strawberries are an excellent source of vitamin C and contain phytochemicals that can help fight cancer. Blueberries, especially wild blueberries, are one of the healthiest foods on earth, with the highest antioxidant content of all fresh fruit. Dried berries have just as many nutrients as fresh. They’re higher in calories, though, because they have less water. Still, they make a wonderful snack when eaten in moderation. And don’t forget about frozen berries! These fruits are harvested at their peak and are often processed right in the field. 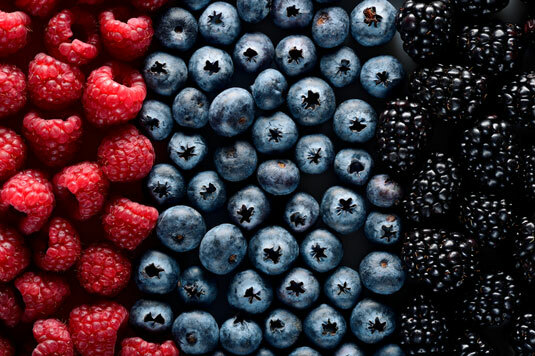 Frozen berries can have more nutrients than fresh berries which may have been shipped for miles. These pungent root vegetables are good sources of allyl sulfides, which are phytochemicals that can help reduce the risk of cancer and calm inflammation in the body. These veggies are also high in polyphenols and flavonoids, which prevent oxidation and stop free radical damage. 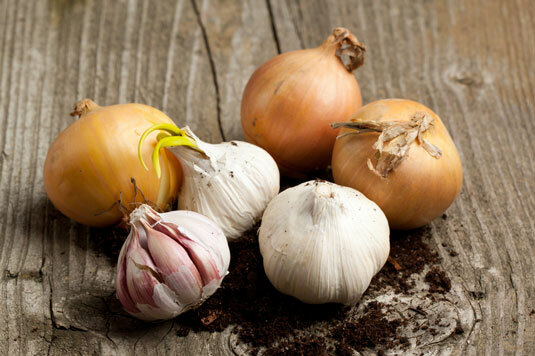 Garlic can help lower cholesterol levels, too.